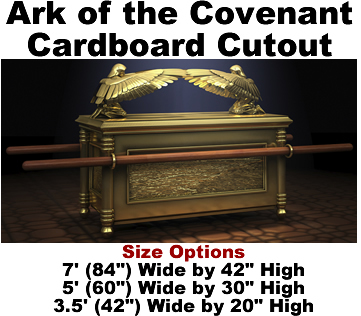 Ark of the Covenant Cardboard Cutout Standup Prop - Dino Rentos Studios, INC. THIS IS NOT A 3D ARK. This is a flat cardboard print of the picture seen. 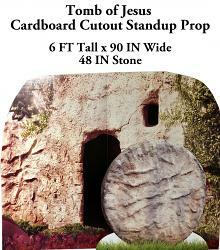 This Ark of the Covenant Cardboard Cutout Standup Prop is great for any religious display or production!